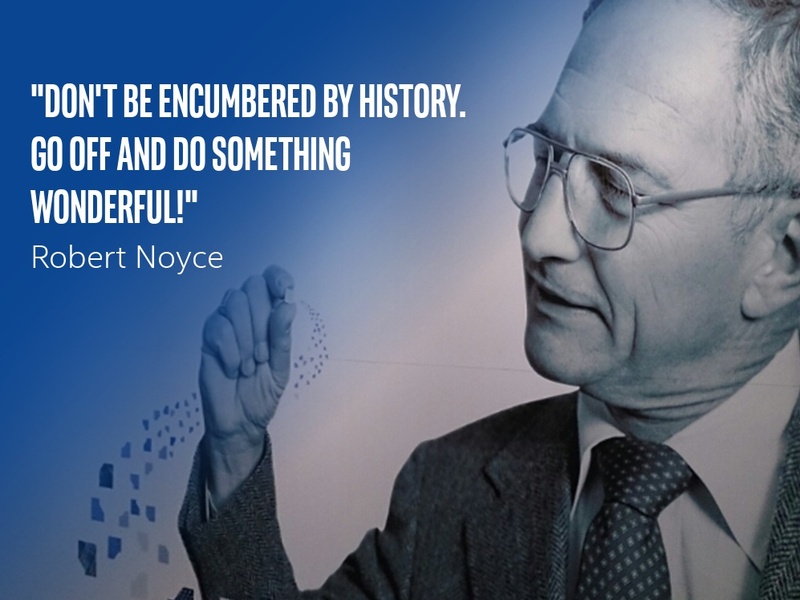 Robert Noyce, co-founder of Intel, once said, "Don’t be encumbered by history. Go off and do something wonderful." The open source community gathered in San Francisco this week at the Red Hat Summit 2018 to showcase how breaking boundaries in technology is enabling us to achieve "something wonderful." It is not about the power of technology alone; it is about what you can do with it that is truly inspiring—something that the open source community knows well. As Intel enters its 50th anniversary this year, we celebrate this diverse community and our longstanding commitment and contributions to open source, which is helping to solve real-world problems. Cloud-scale solutions, vast databases, big data analytics, and artificial intelligence (AI) are transforming industries such as automotive and telecommunications, and challenging us to rethink what constitutes a "typical" data center. Intel® platforms are uniquely positioned to deliver the transformation required as they enable advanced public, private, and open hybrid cloud deployments. The Intel® Xeon® processor Scalable family launched last year, marking the biggest platform advancement in a decade. We are proud to partner with operating system vendors (OSVs), such as Red Hat, to integrate and deploy key features of the Intel Xeon Scalable processors into cloud solutions. Red Hat Enterprise Linux* (RHEL) enables many of the Intel® platform’s advanced performance, agility, and security features based on Intel Xeon Scalable processors, which are critical for building the next-generation data center. New cloud and enterprise usages require higher bandwidth, lower latency, and more flexibility as data is collected, analyzed, and made available anywhere. By incorporating Intel’s field programmable gate arrays (FPGAs) into their infrastructure, customers benefit from the choice and flexibility for varying workloads and use cases, freeing up valuable CPU cores for high-performing, business-critical applications. These innovative breakthroughs can generate infinite possibilities to increase the performance, scalability, and flexibility in the next-generation cloud solutions. Intel has long been focused on driving security innovation from the silicon to applications, from the client device to the edge and to the cloud. We are building security into every product that we create—utilizing changes in both hardware and software to strengthen the security of our future products at the silicon level. The Red Hat Summit stage provided an opportunity to recap our Security-First Pledge to the industry, along with exciting advancements in cross-platform security solutions, delivering value through differentiated capabilities that our customers can use to secure data, workloads, and other assets on Intel®-based platforms. Some of these capabilities were unveiled at the recent RSA Conference 2018. The demand for real-time data analysis—making data available faster and holding more data in-memory, all while preventing an increase in overhead—requires major innovation in storage and memory. Intel is breaking boundaries with new form factors and new memory and storage technologies based on Intel® 3D NAND Technology and Intel® Optane™ Technology—re-architecting data tiers for greater acceleration. With partners such as Red Hat integrating and adopting some of these advancements, we offer customers greater choice for their cloud solutions. What is exciting to me is how innovations in technology, based on Intel® architecture, can be applied in open source through our partner infrastructure to really make a difference—in business and for the greater good. The network is an area where the power of open source is having a profound impact on the industry. To be 5G ready, fundamental changes in the cloud, networks, and devices will need to take place, starting now. Communications Service Providers (CSPs) must unlock the potential to modernize their infrastructure and transform their networks. By working across the industry, Intel and Red Hat bring innovative solutions to the CSP community, like network functions virtualization (NFV), cloud migration, and software-defined storage. By taking advantage of open source projects such as OpenStack*, Kernel-based Virtual Machine (KVM), Open Platform for NFV (OPNFV), and Open Network Automation Platform (ONAP), CSPs can deploy and manage scalable, flexible 5G services, delivering innovative solutions to help transform the network. A container strategy is vitally important to both network and cloud deployments. In December 2017, the OpenStack Foundation launched Kata* Containers, an open source, hardware-secured container project that unites advantages of virtual machines (VMs) with the speed and manageability of bare-metal container technologies. It combines technology from Intel® Clear Containers and runV, along with support from Red Hat and others, is compatible with standard container interfaces, and can be integrated with orchestration platforms like Kubernetes and Red Hat OpenShift* Container Platform, where containers are built, tested, and deployed. Kata Containers promises to drive broad scale network and cloud transformation. Building on Intel’s work with Red Hat, initiatives, such as the newly announced Intel® Select Solution for Red Hat’s OpenShift* Container Platform will help accelerate the development and deployment of workload-optimized solutions using cloud-native applications and hybrid cloud environments. Lenovo will be the first partner to bring this Intel® Select Solution to market. There is no better way to highlight the power of open source than by sharing an example of its advocacy from Dr. Stephen Hawking, the renowned British physicist. For nearly two decades, Intel shared in a history of innovation with Dr. Hawking by providing him with his most critical communication tool: Customized PC technology and technical support. News of his death was met with sadness by many Intel employees who had worked with him over the years. Lama Nachman is one of the Intel engineers who helped improve Dr. Hawking’s computer interface. She is now an Intel Fellow—the highest level of technical achievement within our company. When Lama joined me on stage at Red Hat Summit, she told us that, "Stephen was adamant from the beginning that he wanted us to develop a system that would benefit the world…not just him. He understood the value of open source to make these technologies accessible to everyone. In fact, he even told us that he would only embark on this with us if we committed to open sourcing the technology." There is no doubt that engaging with the whole open source community is a proven path to greater innovation. That is also why Intel actively supports diversity and the advancement of women in technology through efforts, such as Women in Open Source, Women of OpenStack, and Women in Big Data. Breaking boundaries in technology with Red Hat infrastructure based on Intel® architecture—in the CPU, FPGAs, security, storage, and memory—generates infinite possibilities in the enterprise and cloud computing. Applying technological breakthroughs with the power of open source can really make a difference. In the words of Intel’s co-founder, Robert Noyce, "Don’t be encumbered by history. Go off and do something wonderful." Douglas W. Fisher is senior vice president and general manager of the Software and Services Group (SSG) for Intel Corporation. He is responsible for software and software development at Intel worldwide, with the goal of enhancing computing and connectivity for Intel® architecture across the software ecosystem and providing end-to-end value from the device edge to the data center.